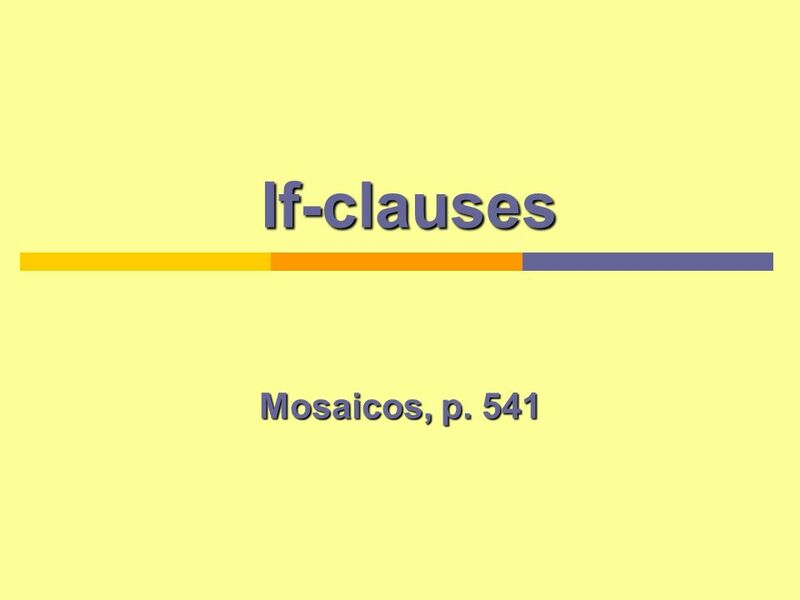 If-clauses If-clauses Mosaicos, p. 541. 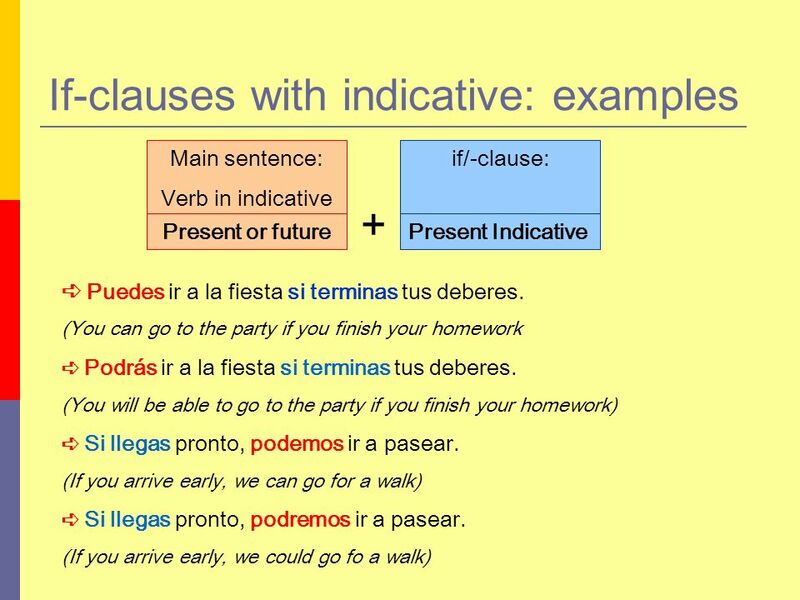 How to use if-clauses Main sentence: Verb in indicative if/-clause: Present or futurePresent Indicative + Puedes. 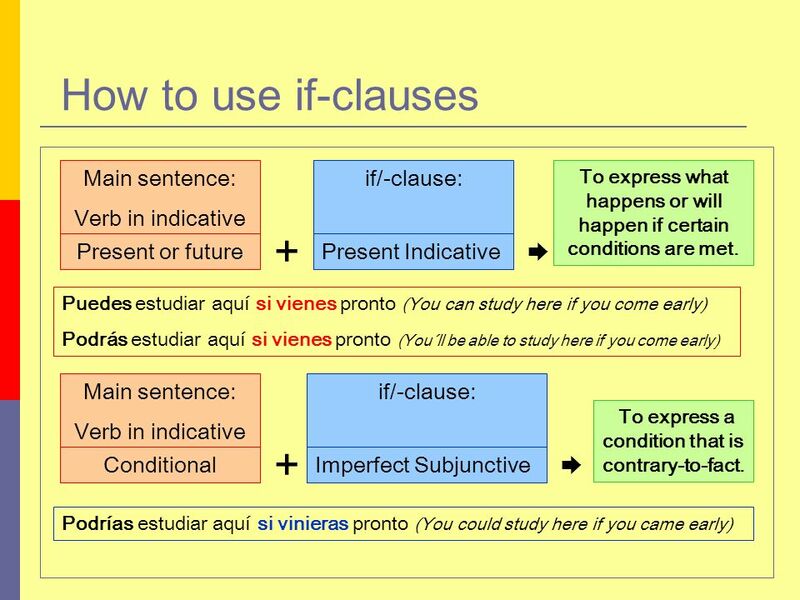 2 How to use if-clauses Main sentence: Verb in indicative if/-clause: Present or futurePresent Indicative + Puedes estudiar aquí si vienes pronto (You can study here if you come early) Podrás estudiar aquí si vienes pronto (You´ll be able to study here if you come early) + Podrías estudiar aquí si vinieras pronto (You could study here if you came early) Main sentence: Verb in indicative Conditional if/-clause: Imperfect Subjunctive To express what happens or will happen if certain conditions are met. To express a condition that is contrary-to-fact. 9 ¡Buen trabajo! 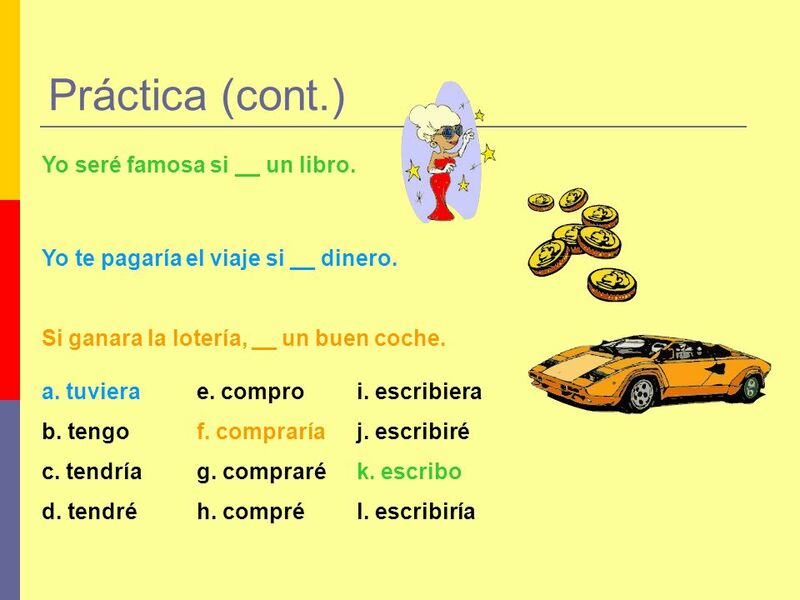 Hoy hemos aprendido las cláusulas con si. 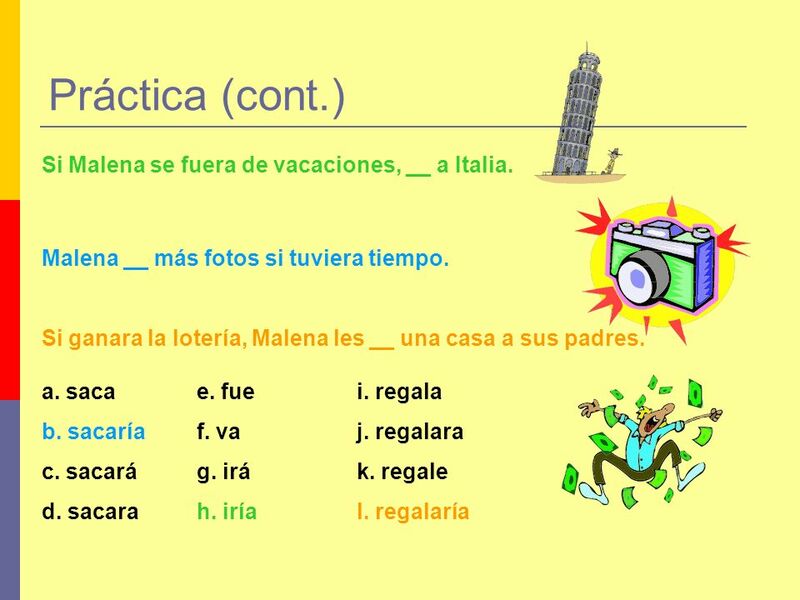 Descargar ppt "If-clauses If-clauses Mosaicos, p. 541. 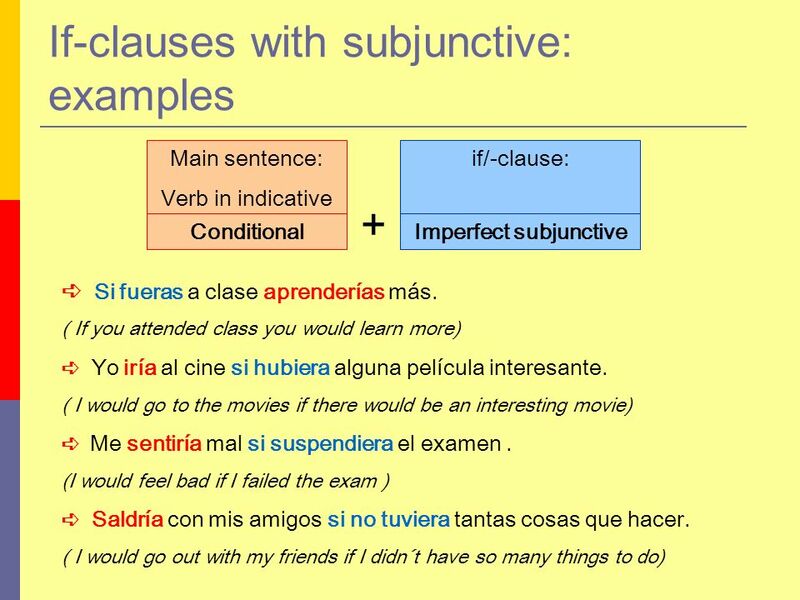 How to use if-clauses Main sentence: Verb in indicative if/-clause: Present or futurePresent Indicative + Puedes." The imperfect subjunctive The imperfect subjunctive Mosaicos, p. 539. O TO UE VERBS!!!. 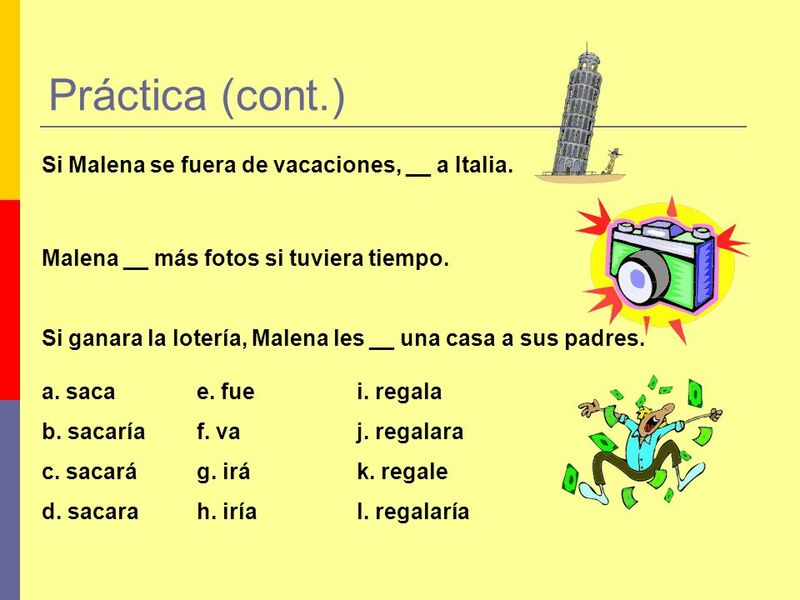 BOOT VERBS Remember e to ie verbs? 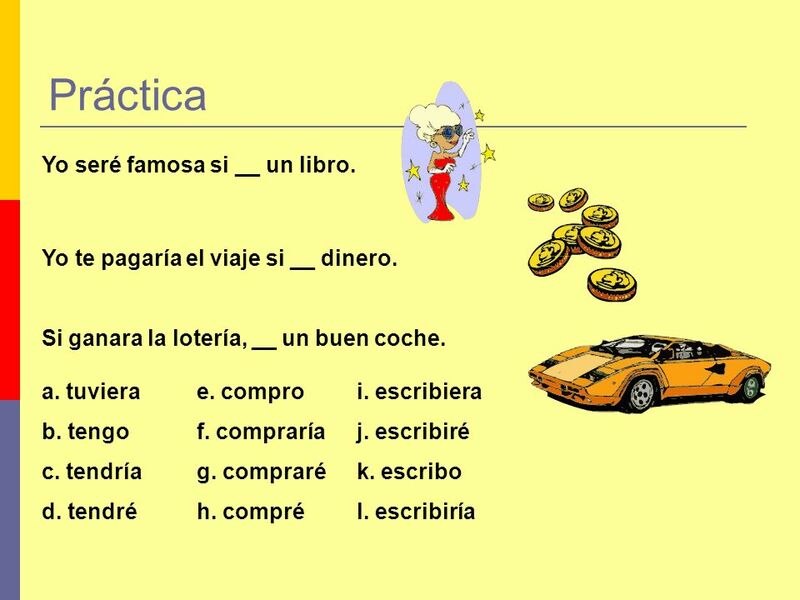 When conjugating those verbs an interior e changed to ie in all forms except for nosotros.